Something for the Ladies, Mules are a great looking western style that complements Jeans or a dress. You can choose any Leather that we make our boots from as well as any toe and heel. 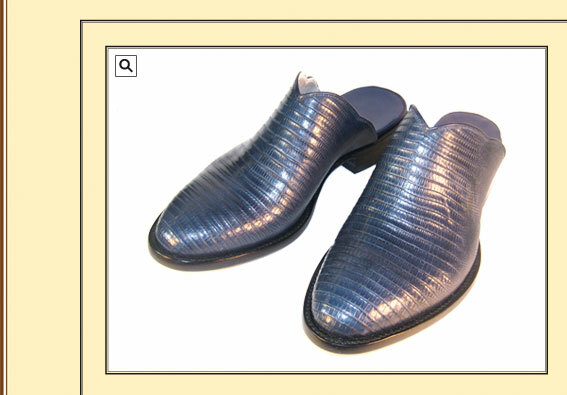 This Mule is made from Navy lizard, it has a medium round toe and 1" walking heel.